Assemblage. 28x20x6cm. 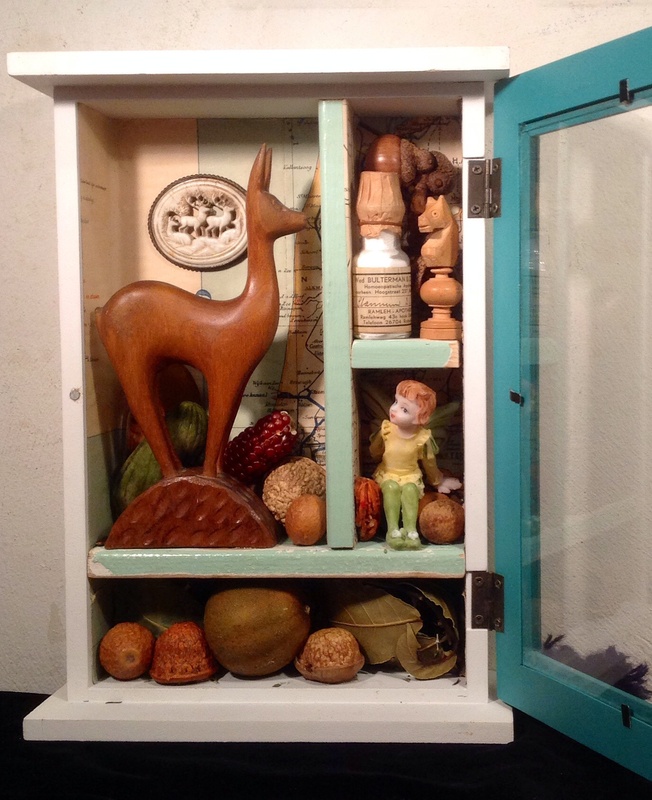 With old map of Holland, wooden deer, broche, chess piece, medicine bottle, dried lemon, herbs and nuts etc. SOLD to Will from The Hague.